The sparkle of spring is here! 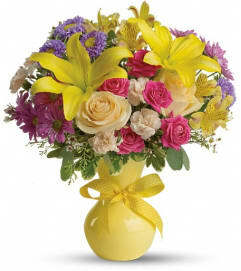 This dazzling centerpiece is beautifully arranged in a spectacular glass bowl. 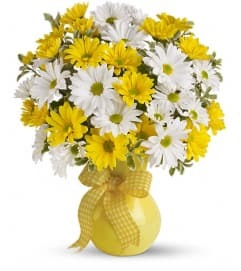 Your spring table will positively sing! 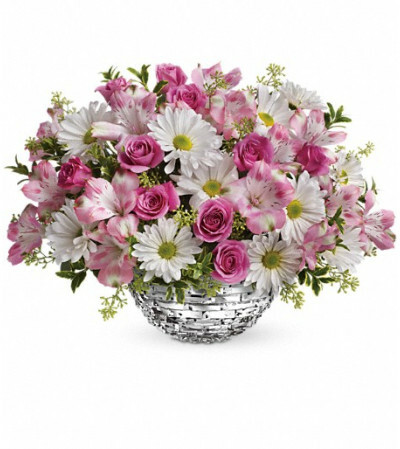 Includes hot pink spray roses, pink alstroemeria and white daisy chrysanthemums, accented with fresh oregonia and seeded eucalyptus. Delivered in a Sparkling Glass Bowl.